Last New Year’s Eve, Elaine Casey’s seventh child was born at home. Her previous home births were complication-free, so there was no reason to expect anything different this time. But when little Caleb was born, he didn’t cry. Instead he made grunting noises, trying to keep his airway open. In eight degrees below zero, mother and baby were transferred by ambulance to the Bozeman hospital. A day later, they were life-flighted to Seattle for open heart surgery. It took several months to receive a diagnosis of CHARGE, a syndrome that affects multiple areas of development. 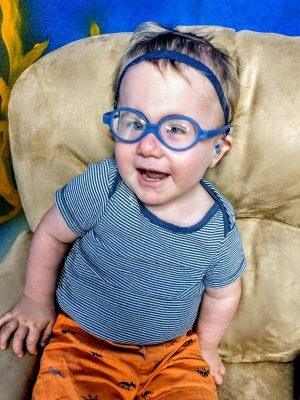 Now a sturdy, determined 20-month-old, Caleb Casey continues to defy expectations. These days, Caleb gets to objects of interest with the help of a gait trainer from MonTECH’s adaptive equipment program, MAEP. Due to DPHHS cuts last fall, MAEP lost its funding. While Program Director Anna-Margaret Goldman was able to incorporate 200 pieces of MAEP equipment into MonTECH’s other programs, she dispersed the remainder to agencies that would allow families continued access. Mosaic Rehabilitation in Belgrade accepted responsibility for some of the inventory, and it was through Mosaic that the Caseys were able to borrow a gait trainer for Caleb. Caleb faces a number of challenges. His vision is affected by colobomas on the backs of his eyes. 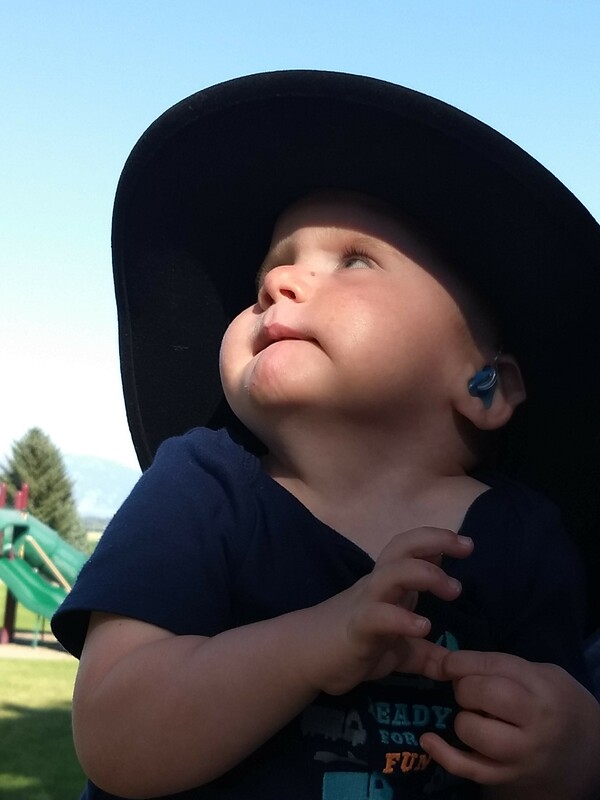 He has mild hearing loss in his right ear, and profound hearing loss in his left. And it may be three or four years before he will walk without the help of a walker, given the way CHARGE affects his vestibular system. But he has an impressive support team. 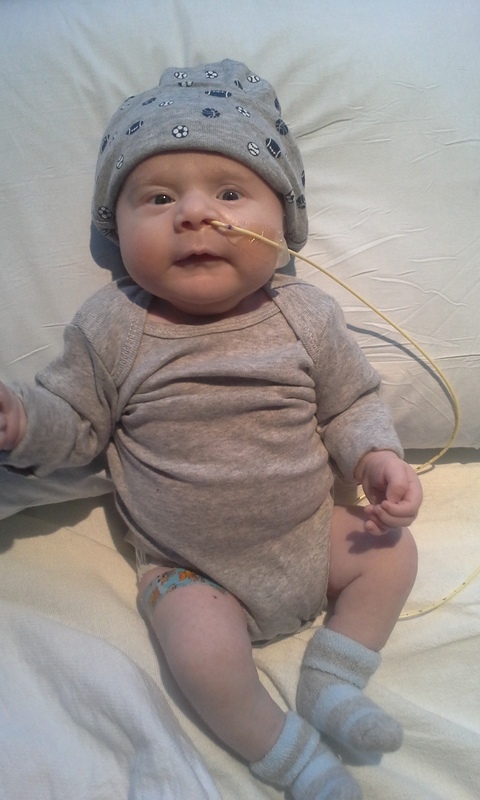 Caleb’s siblings may be learning from the therapists and medical professionals working with Caleb. Undoubtedly, they have learned the 20 signs he’s picked up to augment his communication. But perseverance, strength, and the will to forge his own path – these are greater lessons we can learn from the little boy marching boldly through the mall, stopping to acknowledge strangers along his way.